A student of Bangladesh University of Professionals (BUP) was killed after a bus ran over him at Nodda near Bashundhara Residential Area in Dhaka on Tuesday. The incident occurred when the Traffic Week is being observed in city to bring discipline on the roads by the Dhaka Metropolitan Police. The Traffic Week began from March 17. 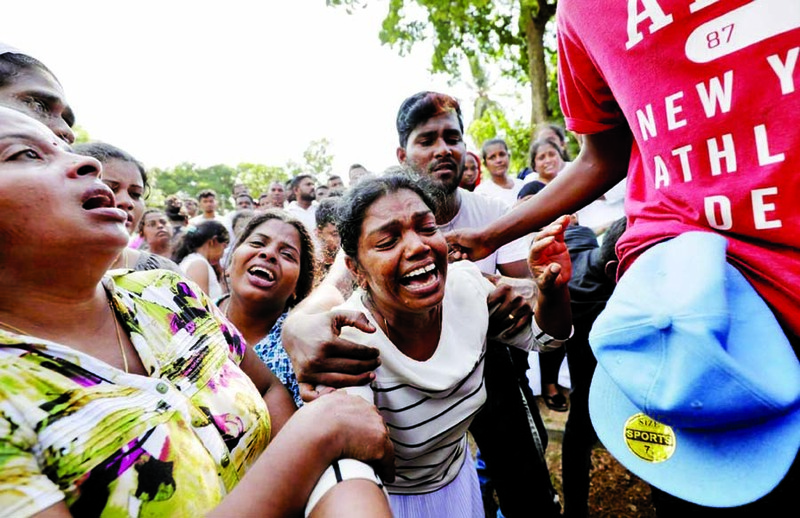 The death made the both students and local people sad and ireful. They took to the streets, blocked the front gate of Bashundhara R/A,. halted the traffic movement on Progati Sarani and torched a bus in the area. Demonstration stopped traffic movement and created huge traffic jam in the nearby area. 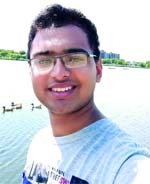 Deceased Abrar Ahmed Chowdhury, son of Retired Brigadier General Arif Ahmed Chowdhury, was a student of International Relations Department of BUP and used to live in Bashundhara Residential Area. Witnesses said that Abrar was crossing the road by zebra crossing at 7:30am when the mindless driver ran over him and dragged him for sometime. He died on the spot. The student's father was also present when the accident took place. 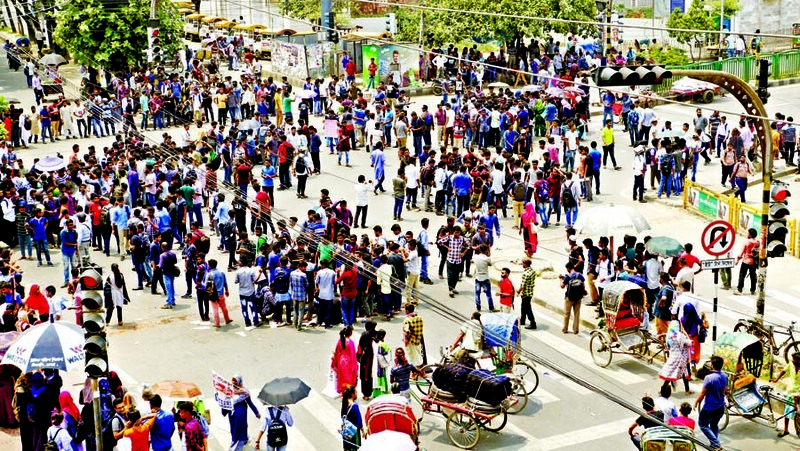 Since then the students of different universities including BUP, North South University, American International University-Bangladesh, United International University and Independent University, Bangladesh blocked the road and raised the slogans, "We want justice." They put buses on roads to block all vehicular movement. The students placed several demands including the death penalty for the bus driver within 10 days, revocation of Shuprovat Paribahan's licence and route permit, establishment of a bus stand, a government order requiring drivers to display their photographs and licence copies inside the bus, the installation of a footbridge at the Bashundhara Gate and CCTV cameras to monitor traffic officers. Meanwhile, Dhaka North City Corporation Mayor Atiqul Islam rushed to the spot and talked to the students. The Mayor gave assurance that a foot-over bridge will be set up at the accident scene in the next two to three months. Registrar of BUP Brigadier General Md Mahboob Sarwar also went to the spot and urged the students to go back to the universities after assuring them that the university authority will follow up with the Mayor's office to implement the students' demands. DMP Assistant Commissioner (Traffic) Badda Zone Abdullah Al Mamun said that he got information that the students of IUB and North South University put fire on the bus, while the students of BUP put off the fire. 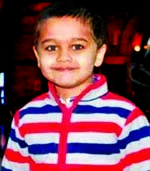 The autopsy of Abrar held at Kurmitola General Hospital and then the body handed over to the family members. His first Namaj-e-Janaza was done on the BUP campus while DNCC Mayor, BUP Vice-Chancellor Major General Md Emdad-Ul-Bari and others were present. The police said, the driver of the Suprabhaat Paribahan bus that killed a student of Bangladesh University of Professionals at Progati Sarani on Tuesday morning was driving with a licence for driving light vehicles. Sub-Inspector of Gulshan Police Station Nazrul Islam said that they arrested the driver Sirajul Islam, 28, of Bhukhainagar in Barishal. The driver has a driving licence for light vehicles, he said. As per Motor Vehicles Ordinance 1983 a driver of bus must have licence for heavy vehicles, said Bangladesh Road Transport Authority Director for Engineering Md Lokman Hossain Mollah. The driver was still at the police station while no case was filed till 5:00pm, said Gulshan police duty officer.